''Norma,I am sorry I got re married,and our marriage didn't work out..''.A husband writes to his ex wife. 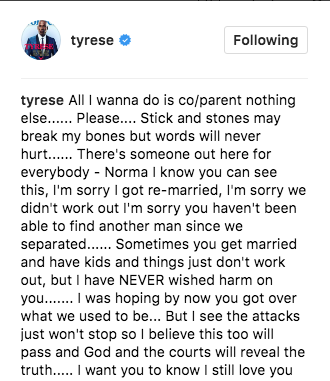 Tyerse,you never wished any harm on her and you got another wife to her house? What is this new wife of yours to Norma? Harmless? 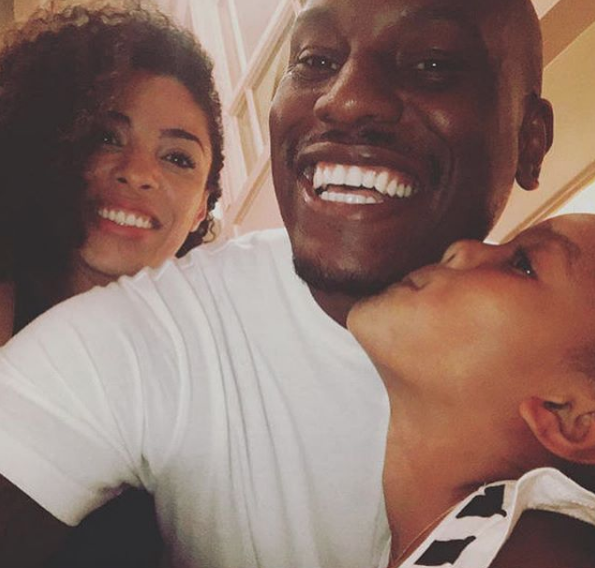 Who bewitched you Tyrese? It was just separation you have with Norma over some issues that can be solved and all you could just do in a short time is to bring another woman in and you are telling her you are sorry? Wait Tyrese,when you separated from her,were you expecting her to also get married? Am sure no. You just want this woman of yours to do as you did and Tyrese,she may not. Continue,keep being sorry for your present state,keep being sorry that you did her wrong,keep being sorry she's left alone. No doubt,you will miss Norma forever,for sharing custody of your child with her because you just said it : ''I still love you'' to Norma!! !